2009 has been a really interesting year for me. We didn't have much snow during the holiday season, but during the first weeks in January we got a lot causing a complete chaos in the traffic. I spent two hours driving to work and two hours driving home one day (I normally only use 20-30 minutes), so I decided to work from home until things got back to normal. Eric Lambert visited from California in February to start planning our next sprint on our project. "Unfortunately" he didn't get to see any extreme winter weather, but it was nice to be able to work face to face with my team-mate instead of only discussing on IRC. Unfortunately for me I can't spend as much time as I want with my brother and his family, because they live in California. I have however been so lucky the last few years that I have been able to stay at his place for a month and work from there. 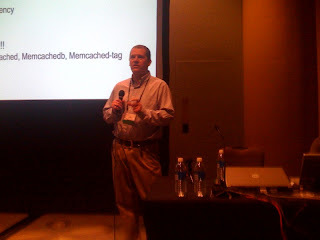 Last year was no exception, but this time I was also giving a presentation on MySQL Users Conference. The users conference is a highlight of the year for me, because I meet so many good friends from all over the world there. During the Users Conference I also left Suns Database Group, and joined a fantastic team lead by Lee Bieber (aka the Drizzle team). We spent the summer vacation on Oslo this year, going to amusement parks and museums. 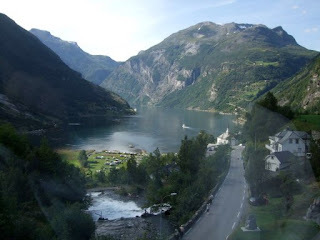 One of the highlights this years was my cousins wedding in Geiranger. We went on a 3 hour long boat trip in the fjords before we arrived at the hotel, so I got to see "syv søstre" and "friaren" up close. Thats a memory for life. The view out my hotel window was really awesome! In September I went to Seattle for a team meeting, and it was really great to see the rest of the team again (You can see the team at http://www.flickr.com/photos/brianaker/3834956962/ ). Working from Norway I spend a lot of time talking with them on telephone / IRC, so it is really great to meet them face to face once in a while. Luckily for me I got to meet other friends during my stay there. Dustin Sallings, Steve Yen and Patrick Galbraith from NorthScale joined in on the open events to discuss the community work on Drizzle / Gearman and Memcached. 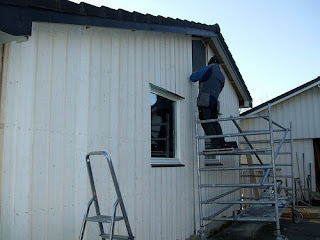 Back in Trondheim I continued the renovation om my house. I am going to build two rooms in the garage attached to my house, so I started by tearing down the wall and constructing a new wall. I'm 99% done with everything on the outside now, but I need to find time to finish up inside. This was a quick summary of 2009, and I am pretty sure that 2010 will become even more exciting! !